Lobsters are prey to fish such as cod, flounder and skates especially when they are small, have not grown into adult lobsters or are vulnerable due to molting, when their shell is still soft. Many animals, including humans, eat lobster. 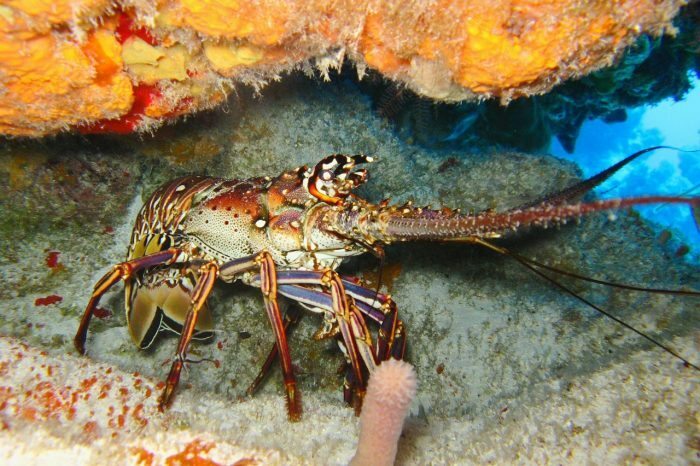 Adult lobsters are not vulnerable to many predators but their eggs are. Lobster larvae floating near the water’s surface for 4 to 6 weeks are the most susceptible to being eaten by predators. A mature female lobster can carry and lay over 10,000 eggs at one time. Due to the lobster larvae becoming food for predators, only about ten eggs will survive to become a fully grown adult lobster.